In our review of the new model Triumph T100, we argued that it was in many respects the better bike when compared to its beefier cousin, the T120. 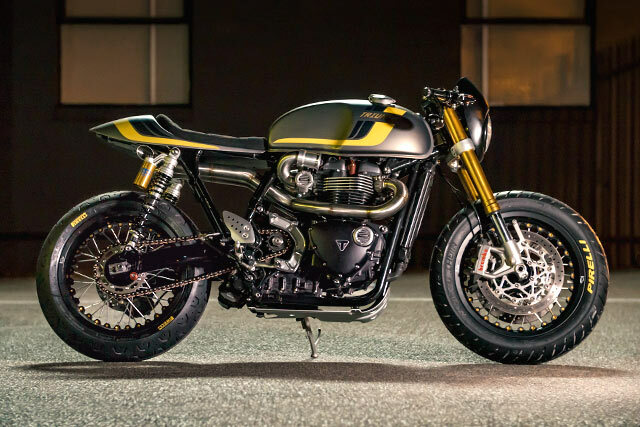 Channelling that thought, Macco Motor’s latest build was for a customer that took a T120 over and above a Thruxton when faced with a similar dilemma. Well, that’s if you can use the phrase ‘dilemma’ when the very same customer calls a bike’s lines and style ‘perfect’. 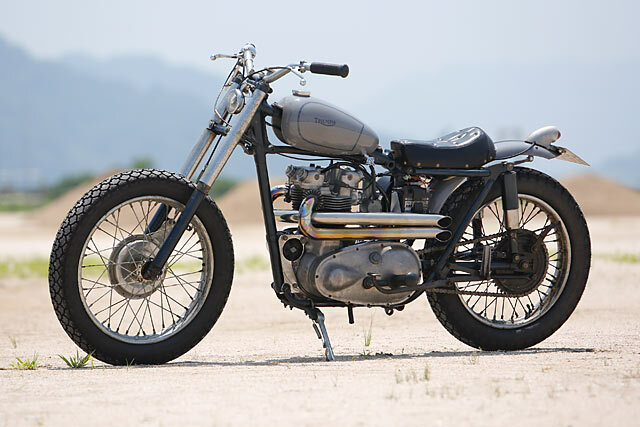 Here’s Macco’s ‘Renegade’ Triumph, a classic-looking bike that forced them to start from zero. 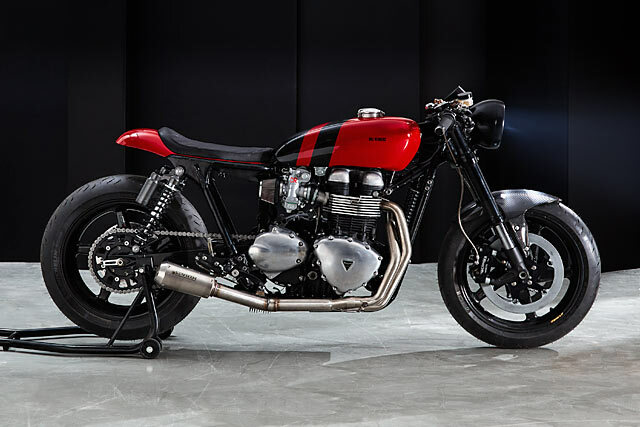 The British can rightly lay claim to being the birth place of the cafe racer, the Americans the bobber, but while there is no singular name to describe the style of the incredible custom creations that roll out of Japan; you’re in no doubt when you see one. A true master of the Japanese scene is Kengo Kimura, who embodies everything that is mind-blowing about the machines that appear from nondescript industrial buildings that dot the countries cities. His company, Heiwa, operates from just such a workshop, near the port of Hiroshima where his small team craft beautiful vintage machines they’re proud to ride daily. Now he’s throwing his full skill set at a modern motorcycle, a 2003 Triumph Bonneville that he simply calls 002, we call it perfection. 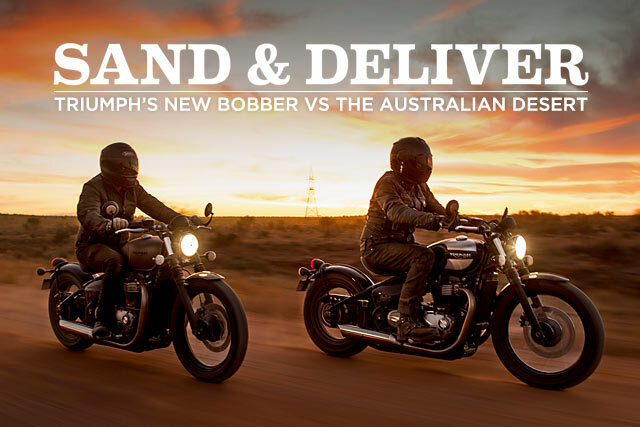 If on buying a new Triumph Bobber it wheeled itself into your house, drank all your booze, shagged your wife and set fire to your cat, people would still want to buy it. Motorcyclists are frothing over it. 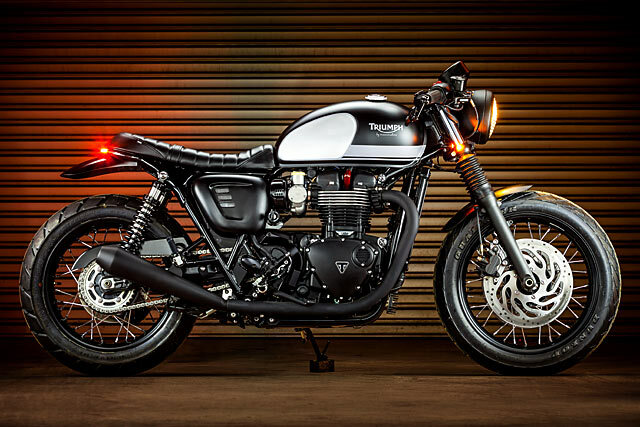 It’s the highest selling Triumph of recent years, and the preorders have even outstriped those for the incredible new Thruxton. But such a high demand for the Bobber means press bikes are in short supply and we only had a pair of shiny new cruisers for three days. What could we do in that time? How about we take it into the Australian outback and beat the crap out of it. Sportsbikes are all but dead. After bikers realised that riding a litre bike on public roads was akin to straightening that crooked picture in your hallway with the USS Nimitz, the bottom fell out of the global market. And while the more switched-on manufacturers have shifted their eggs to other baskets, it seems that the custom builders are again one step ahead. 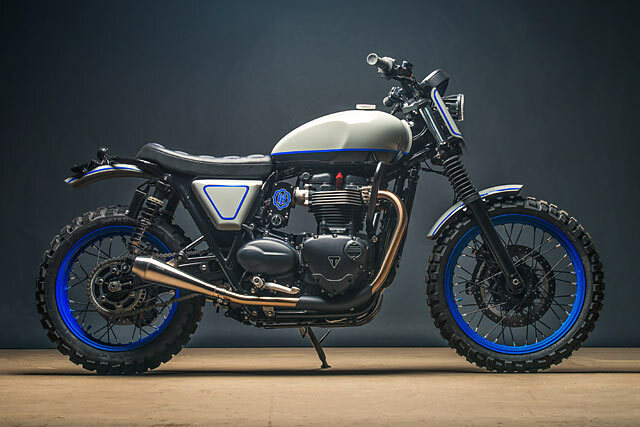 The recent rise of seriously capable machines with cafe racer influences is undeniable. Finally we’ve realised that fast bikes don’t have to rev to 18 grand and look like a reject robot from a Michael Bay film. And here’s a perfect example, via Rob Chappell from Canada’s Origin8or Custom Cycles. 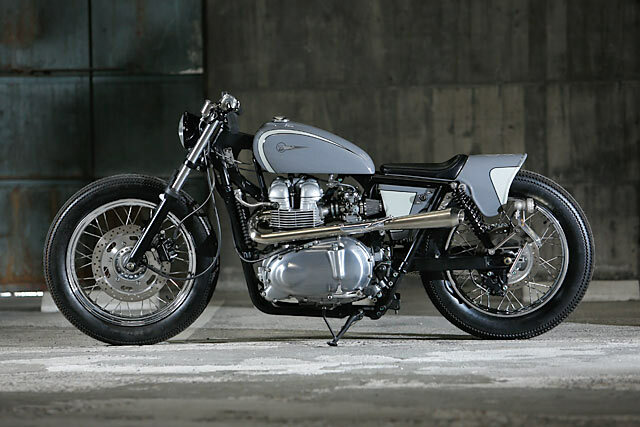 We like to think that we watch the global custom bike scene pretty closely. Like a United Nations of two wheels, if there’s a hotspot somewhere in the world, we’re there. But Paris’ GB Motors 94 has really taken us by surprise. Like an unexpected rebellion in some far-flung corner of the world, one minute there was nothing, and now we’ve seen two major events in two weeks. First there was their Speed Triple ‘Metal Speed Solid’ and now this. 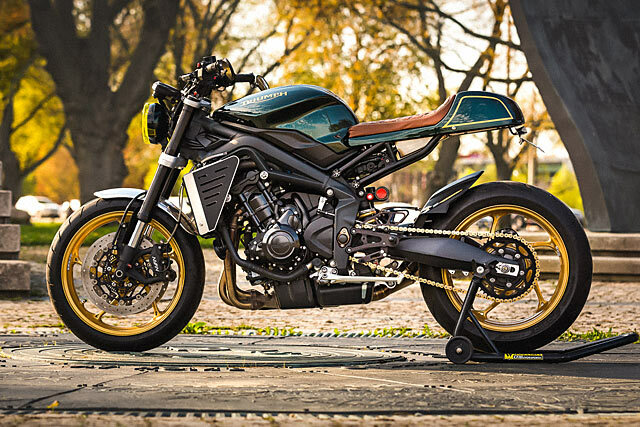 Please lay down your arms and surrender to their ‘Jubilee’ Street Triple 675. For something to be reborn first it must die, and this particular ghost who walks lived a very short life before it was resurrected in just eight tumultuous weeks. Whatever perfect product you buy, the end result is a culmination of blood, sweat and tears that the consumer is never likely to see. But prepared to let the masses get a glimpse behind the scenes Australia’s premier custom bike builder, Wenley Andrews has pulled back the curtain and revealed the alter at which he works. Making this process even more special is the collaboration that made it happen; a collective of the Australian industry’s very best. The incredible finished product was finished just hours ago. 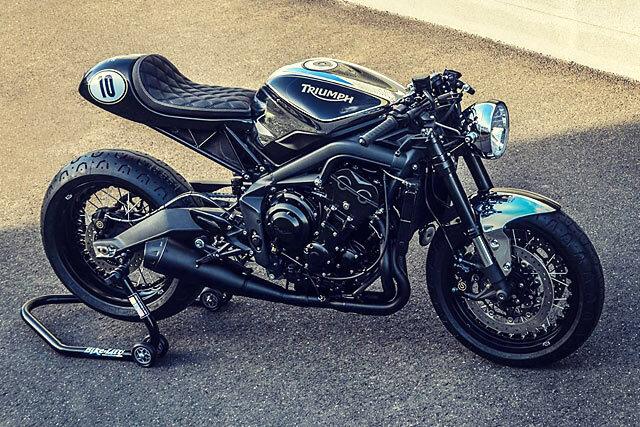 A Wenley special, this 2016 Triumph Thruxton R racer is known as the one who cannot die; the ‘Phantom’. It seems that nary week goes by without a clever new custom bike build from an authorised bike dealer appearing in our overworked inboxes. Especially prevalent in Europe, it seems that their in-house access to bikes, mechanics and a shipload of spare and aftermarket parts sets them up for some pretty prime builds. And tonight’s bike is no exception. 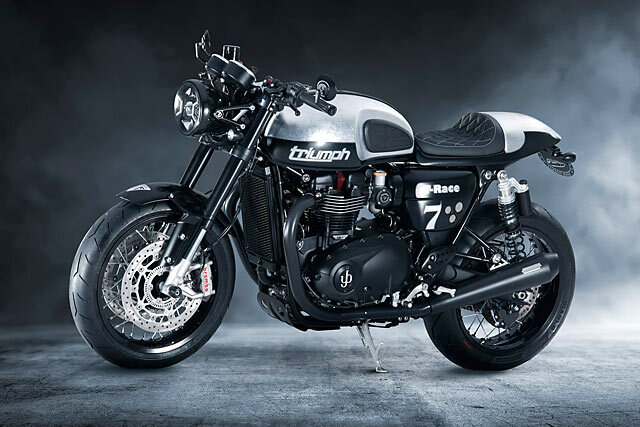 Made by Switzerland’s Städler Motos, it’s a delicious new Triumph Thruxton R that’s been given just enough warming-up to make all but the fussiest Swiss Triumph fans feel all warm and gooey inside.